There are so many amazing Japanese YouTube channels out there. And with more and more videos uploaded each day, you’re guaranteed to find your perfect teacher. Whether you’re a beginner or advanced student, studying just for fun or for JLPT level 1, there’s a YouTuber who can help you learn Japanese. Nihongo no mori offer some of the best free Japanese lessons for JLPT grades 1, 2 and 3. Taught entirely through YouTube videos, the lessons are produced by a team of Japanese university students. They talk you through every grammar and vocabulary item you need to know to master the JLPT. The higher level lessons are all in Japanese, which is great for immersion and also for students who don’t speak English as a first language. They also have a few beginners videos which use more English. Recommended video: Learn the Top 25 Must-Know Japanese Phrases! Lots of people want to learn Japanese because they love anime. But can you use anime to help you learn Japanese? The ADBChannel will show you how! This channel, presented by Gaikoku Jenny, has a really cute and original concept. First you watch a series of clips from all kinds of anime, using the video’s target phrase. Then Gaikoku Jenny talks you through the grammar and how to use the phrase yourself. The channel is quite new and doesn’t have a ton of videos yet, but we’ll be following this one as it grows! Recommended video: Learn Japanese with Anime Ep 4: Are you ok? Hanako is a brilliant teacher who gives free Japanese lessons on her YouTube channel and blog. Hanako publishes weekly live video lessons which are suitable for beginners and cover the same topics as the Genki textbook. More advanced learners will love her special videos and updates where she talks about different topics in both Japanese and English. A bit different from the above channels, JapanSocietyNYC is not a personal channel. Instead, it’s the official channel of the New York Japan Society: a cultural organisation dedicated to promoting Japanese arts, culture, business and education in the US. 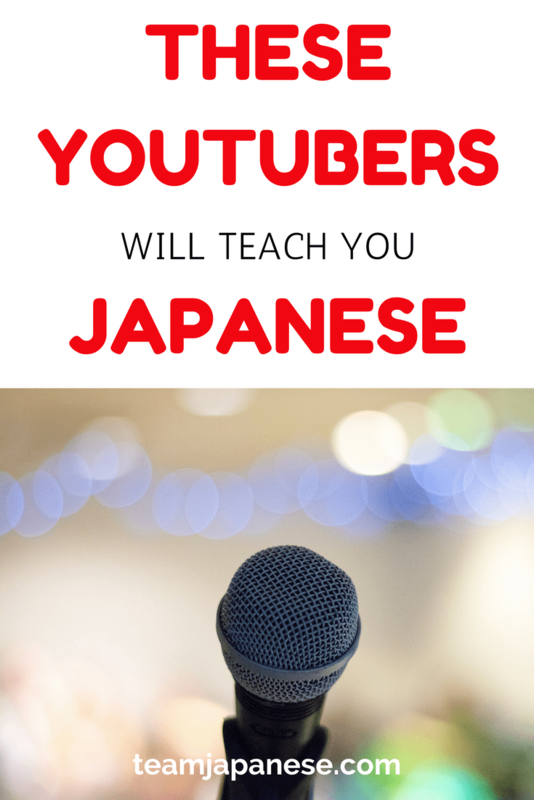 Their YouTube channel has hundreds of videos for you to explore, including a few different series of Japanese lessons for beginners (we like the Waku Waku lessons). You’ll also find videos in English on everything Japanese, from minimalism to cooking. What are your best YouTube channels for learning Japanese? Let us know in the comments and we’ll add them to our list! Thanks for reading!